We are here at Stoll & Wolfe Distillery in the tasting room. It's in a renovated 1850s crane mill that we're actually using to go ahead and produce whiskey again here in Lancaster county. We're here today to talk about tasting whiskey and some tips and tricks you can use to host your own whiskey tasting at home. So we've selected our Stoll & Wolfe Pennsylvania rye whiskey today. All the color that's in here is basically coming from the barrel and the way it was aged out. So what you're looking for ideally are some sort of darker, almost hay like color. Another thing that we're going to be able to note is the clarity of it. If there's a little bit of haze in some of the whiskeys that may be because it's a higher proof; maybe the way it was filtered. Also as you go through you'll notice the viscosity and basically that's how it's going to adhere both to itself and also to the side of the glass. The nice thing about the glass is it's actually designed so you can go ahead and swirl it and get a little bit of air in there. It's also designed so that this will concentrate the aroma as well so you can go ahead and start up top and then gradually work your way in a little bit. You may actually even have some images that come to mind; does it smell maybe like your grandmother's kitchen? Maybe it smells like a particular time of year or particular place. I like to break it down into three sips. With the first sip what you're predominately going to notice is the burn of the alcohol. With that second sip you're gonna wanna go ahead and start to note more of the character of the whiskey now that the burn has dissipated. As you take the third sip try and note the beginning, the middle and the end. How does that feel? Is it dry? Is it fiery? Is it trying to fight it's way back out? Ideally the best whiskeys will take those individual notes and pull them together. Again, know there's no wrong way to do it as long as you're having fun and learning a little something along the way. Cheers. 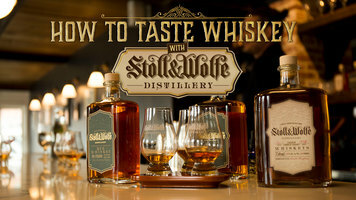 Learn how to taste Whiskey at the Stoll & Wolfe Distillery. From the color, to the aroma, to the taste, take a tour through the art of whiskey tasting. 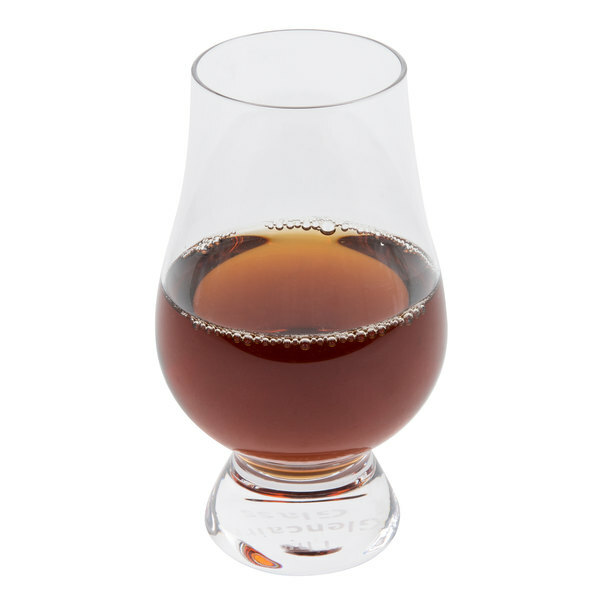 Allow your patrons to appreciate their whiskey to the fullest extent with the Stolzle 3550031T Glencairn 6 oz. whiskey glass! 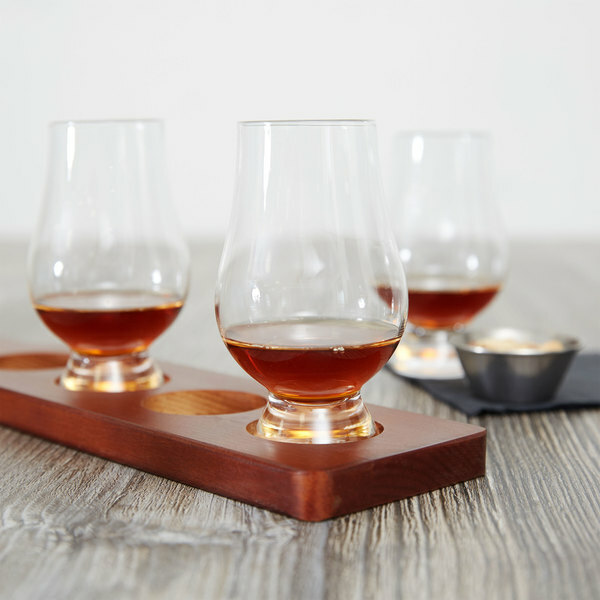 This glass is specifically designed for drinking whiskey; its wide crystal bowl allows for the fullest appreciation of the whiskey's color, while the tapering mouth of the glass captures and concentrates the aroma on the nose and enhance taste. Plus, this design also allows the glass to fit comfortably in your patron's hand for an overall more enjoyable drinking experience. 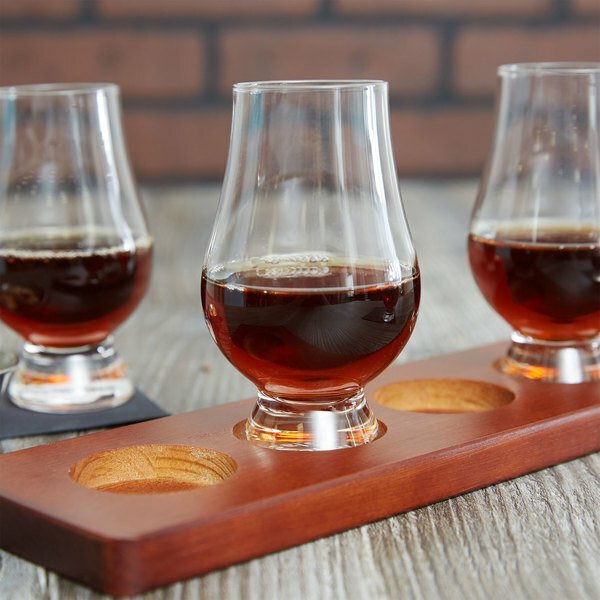 Place this glass in a flight with your finest single malts and aged blends, allowing guests to savor their complex flavors. Known as the standard for tasting scotch whiskey, this elegant, crystal-clear glass will add a new level of sophistication and aesthetic appeal to your drink presentation. Made of 100% lead-free crystal, Stolzle provides higher clarity and brilliance than comparable glassware which contains lead. Each of Stolzle's glass products undergo a special fire tempering process, increasing hardness and durability, and therefore reducing the risk of breakage. The smooth touch and delicate chime of Stolzle crystal glassware will make it instantly clear that your customers are receiving the best product and service possible. With the Stolzle Glencairn glass, your favorite whiskeys are sure to always look and taste their very best. Love these glasses and our customers love them too! Perfect for enjoying most whiskies neat, these are elegant and make it easier to pick up on nuanced aromas. Can't beat this price! These are more expensive than other glasses in general, but is is really worth it. This glass is specifically designed and made to concentrate the aromas of the spirit, and it clearly works if you compare it to a regular glass. I definitely recommend if you are a spirits lover or if you run a fancy bar or restaurant. This glass is great, perfect shape for your favor spirit. i got these as a wedding present and had them engraved and they were a big hit with the groomsman! i would recommend these for a wedding party or if you just want some nice glasses for yourself. These are very nice high quality glasses. We have purchased hundreds of these glasses and have yet to notice the slightest of imperfections. 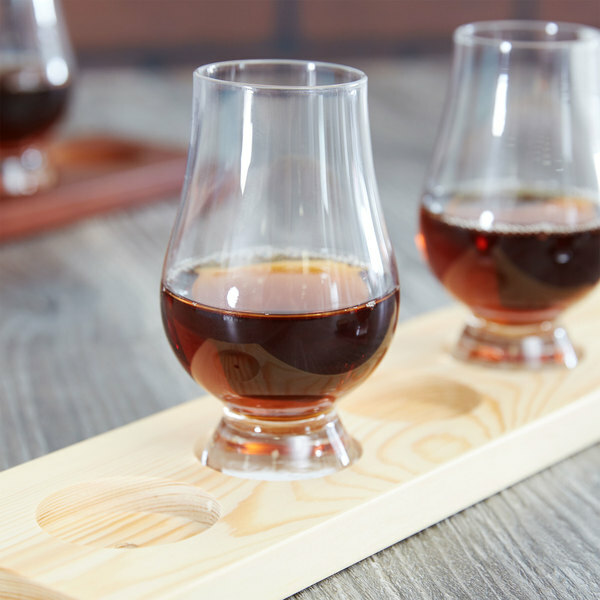 If you are planning on serving top shelf bourbon, these are the glasses for you. stolzle is a new brand that we decided to try. let me say that i am not disappointed at all. this product really shines in our bars! Nice traditional whiskey glass that we only use for our upscale whiskeys. We have had several glasses for about 3 months and 6 months now and so far have not broken any but we don't use them often. 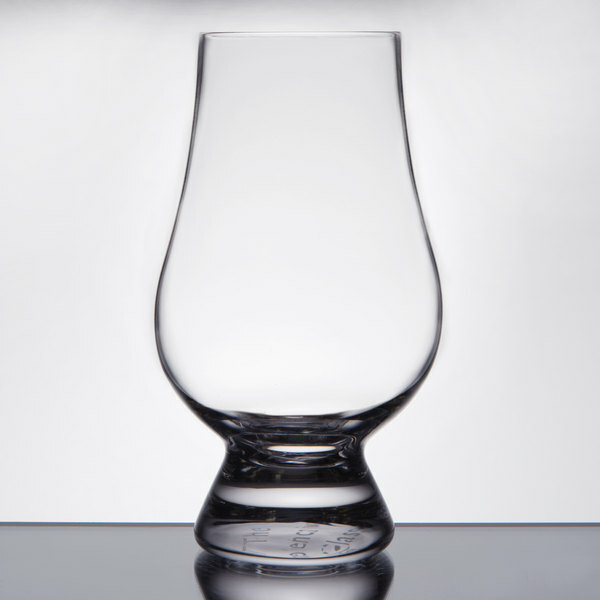 We were very happy to find this price for true Glencairn glasses. They are thick and feel very sturdy. We use them to serve special single-origin espresso at our coffee shop. 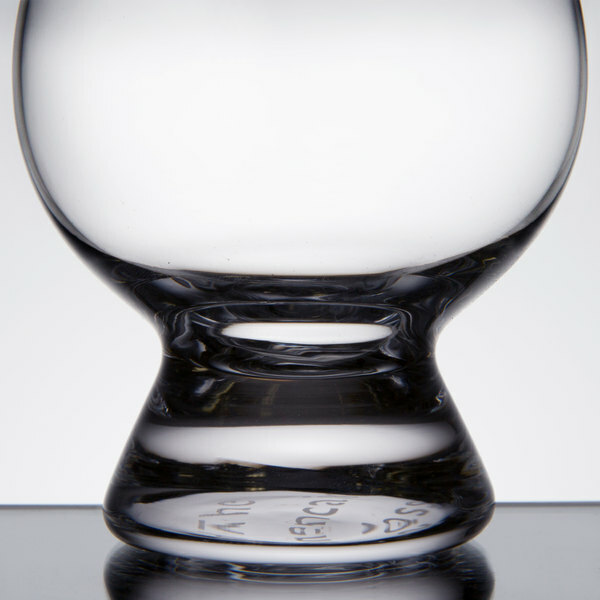 A nice, elegant style whiskey glass that is perfect for tastings. The glasses have a nice bowl shape making them perfect for swirling and tasting the whiskeys at our parlor. A great buy. We are a whiskey bar and serve all of our whiskeys in a Glencairn. They're great for nosing and tasting the whiskeys. These have held up really well for us so far. These look great for whiskey, always get positive comments. Make sure you are careful washing, base is sturdy but these have thin glass. Well worth the price. This is the best whisky glass, period! The glass is solid and has a great weight that is truly balanced. The glass traps the bouquet of the whisky perfectly for the drinkers nose! There is nothing better than these glasses. I choose no other way to drink whiskey than from a Glencarin glass. A must have in my book! 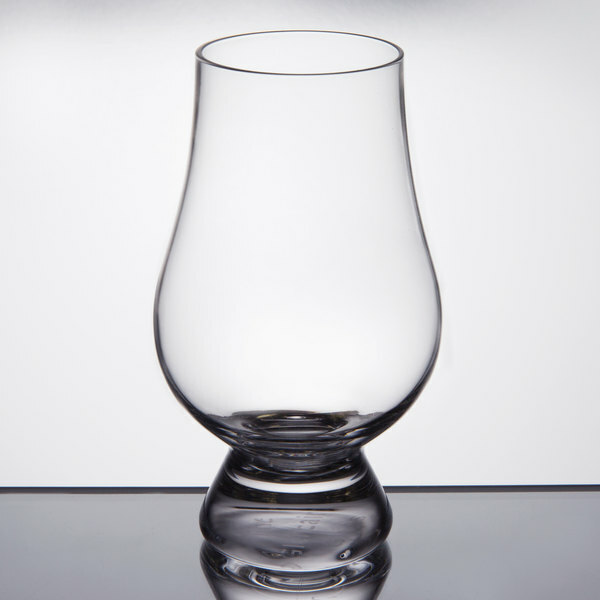 This glass becomes one of must-have item for whisky drinkers so that the word glencairn seems to be not a proper noun but a common noun for tasting glass. It is now commonly accepted that taste of whisky strongly depends on glass. 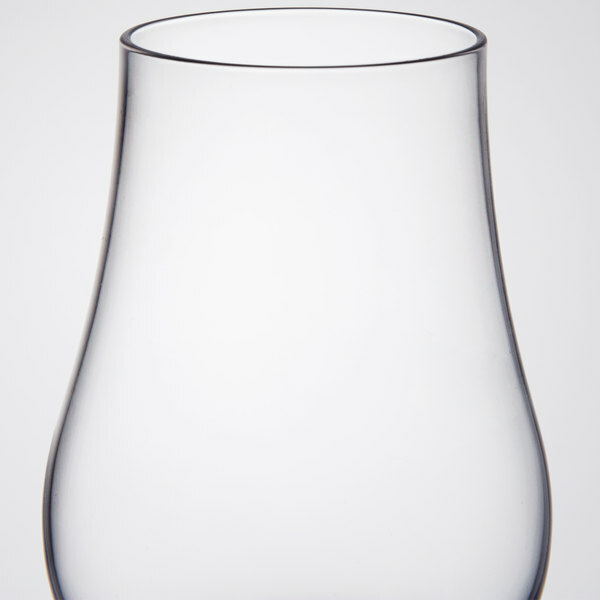 And this is the glass a whisky enthusiast can enjoy one's dram completely. 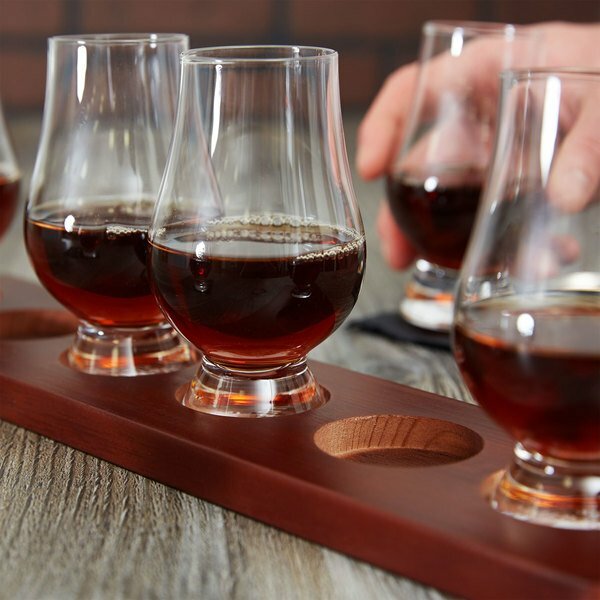 Spectacular crystal whiskey glasses that are perfect for Kentucky Derby parties with flights of Kentucky Bourbon. I'll be using them for a 5-course KD event. The Glencairn glass is just the perfect glass for whisky. They are very sturdy, well made and beautiful. Webstautant store easily had the best price I could find.